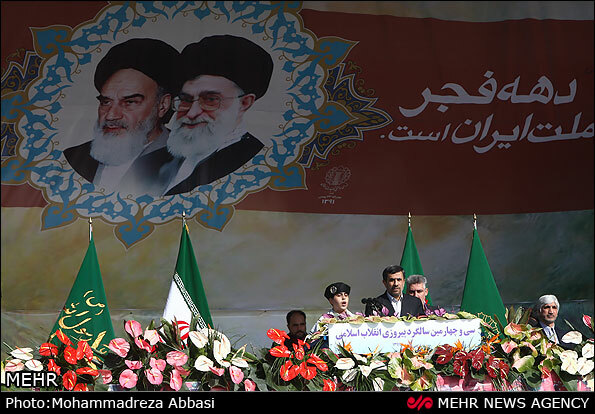 Iranian President Mahmoud Ahmadinejad addressed supporters today on the 34th anniversary of the Khomeini revolution. 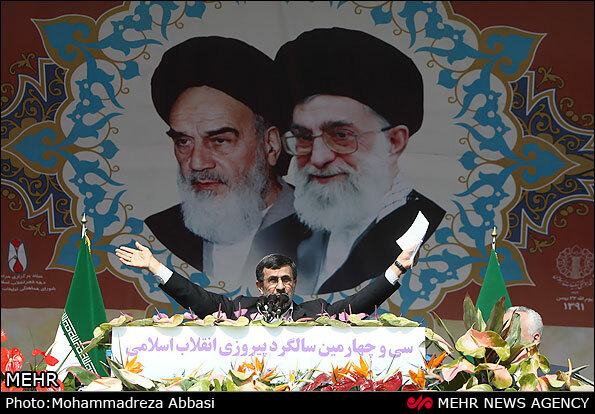 Ahmadinejad said the Son of the Prophet of God is coming soon. Ahmadinejad believed that the perfect among the people is he who is most pious, most equitable, and most loving. “He who opens all doors to science, cognition, and love for humanity, he awakens human instinct, promotes man’s dignity, and presents God’s all blessings and beauties to him,” he said. “He who is equally kin to all tribes of man, just as the prophet and the Creator are for all, he is for all as well. He loveth all, and sufferth all human sufferings,” Ahmadinejad asserted. He pointed to the Coming of Messiah, the Savior of the Man. “he is expected. He, who is the most precious gift from God not only to man, but also to universe,” the president added. “Yes. The Son of the Prophet of the God (as), the Promised of the Umam (all followers of Abrahamic religions ), and a heir to Prophets and the Selected, he cometh and presents pure truth and true guidance, and he is who will help man in his ascend to heavens,” continued Ahmadinejad.